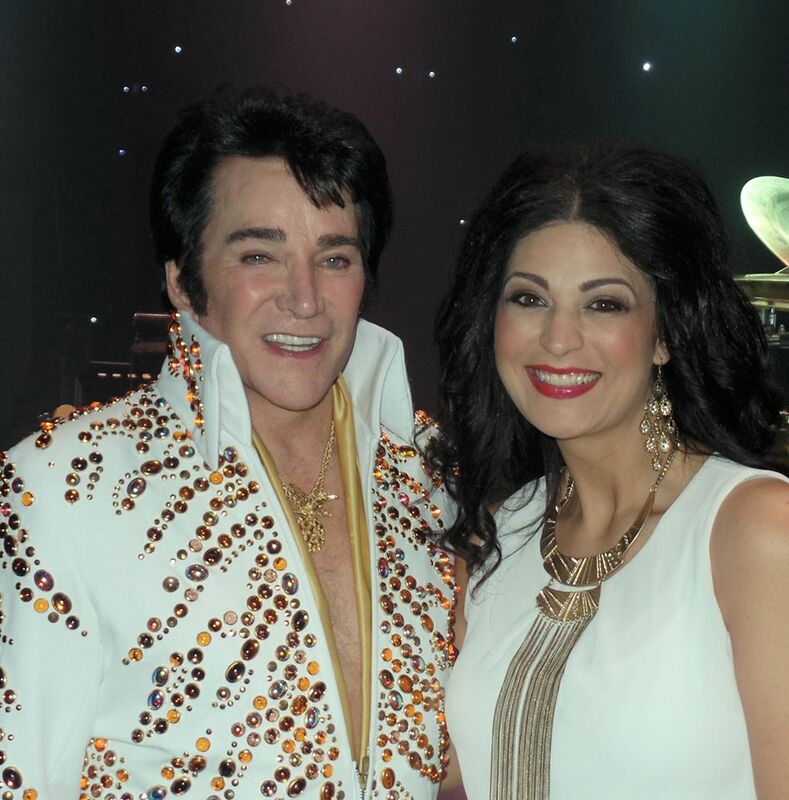 I had the opportunity a few weeks ago to see Jerry Presley’s Elvis Live show in Branson. I loved the show, loved Jerry and was very impressed with both the band and the back-up singers. Those of you that read the blog post about the show, know that there was one voice that stood out from the rest and that was, Tammy Beebe. Tammy was gracious enough to meet me for lunch and we had a chance to get to know each other. Her handsome hubby came along and within minutes, it felt like I was sitting with friends. The Beebes are friendly, open, authentic and genuinely nice people. I usually like to interview people one on one as I find them to be more talkative and forthcoming than when they are with their significant other, but this couple was different. As husband and wife and life-long friends, they brought a dynamic to the interview that I found charming and heart-warming. One thing that a lot of entertainers in this town seem to have in common is, they’re happy people. I think part of that comes from their faith, and their families, but mostly, I think it’s because they are chasing their dreams, doing what they love to do. There is no better feeling than getting up each day knowing that you are utilizing your God given talents. Tammy and her husband Brian are optimistic about their recent relocation to Branson. And, I have to agree with them. I think Branson is lucky to have another addition to the music scene. Not only does Tammy have one of the prettiest voices I’ve ever heard, she is also one of the most beautiful women that I’ve ever seen. Inside and out. 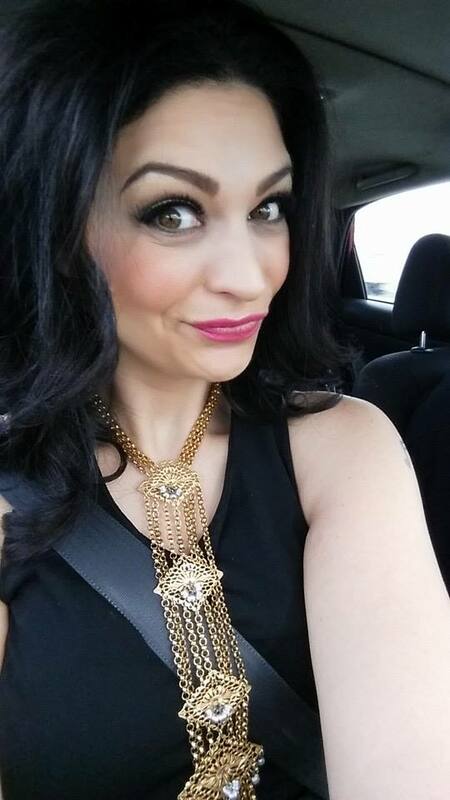 I put great stock in how a person is on the inside and Tammy is so talented that she could be green and covered in warts and she would still wow you with her singing. However, it’s not often that someone so radiant and stunning comes along that also sings like an angel. I had a hard time not staring at her over lunch, because she has the old-time Hollywood look. She’s as glamorous as Jane Russell or Ava Gardner and if she ever decides to pursue an acting career, she would look great on the big screen. 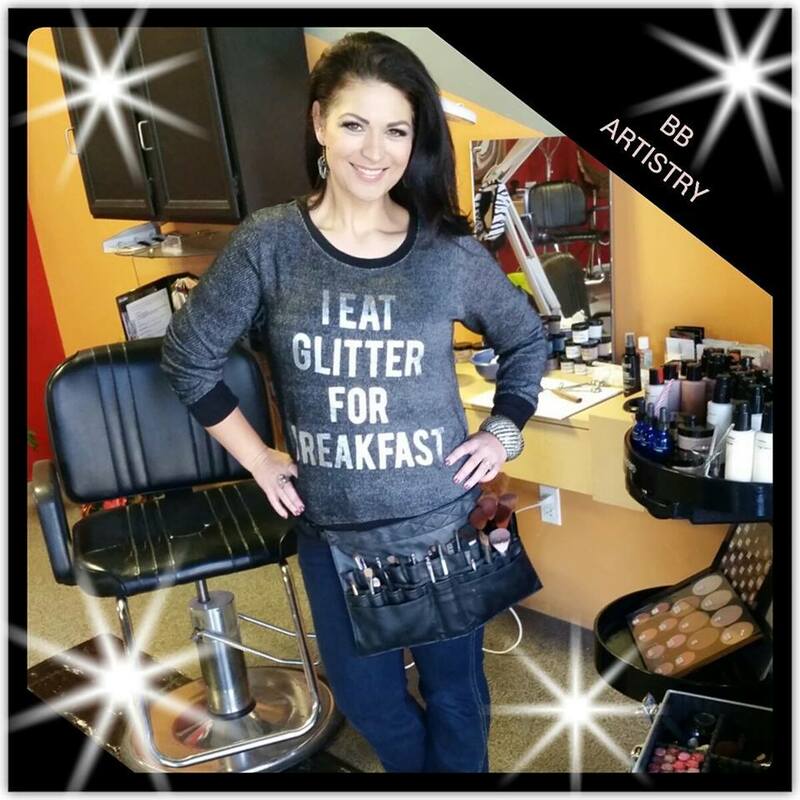 Tammy is also owner at BB Artistry and is an amazing make-up artist. She graciously volunteered to do my “author” photo and promised me that she would have me looking very glam. For my female friends, you have to go check out her site. 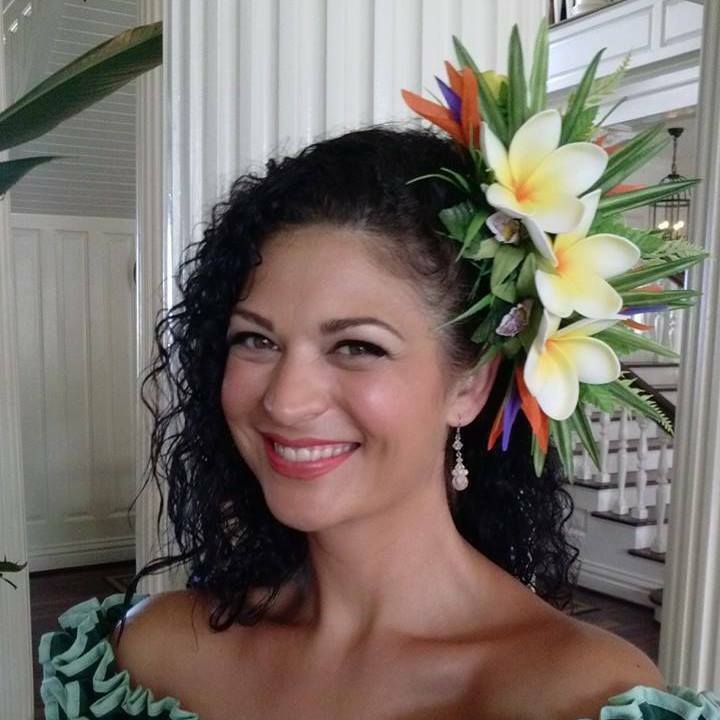 She also does image consulting and skin care and once you lay eyes on this pretty lady, you’ll want to know her secrets. I’ve learned to ask who else in the family is talented and wasn’t surprised when Tammy told me about growing up with musically inclined parents. She sang in church from a young age, but told me that she never really took it that seriously, until she was a little older. The biggest surprise for me was how low of a speaking voice Tammy has, when she hits the highest notes, five days a week in her show at the Jim Stafford Theatre. She told me that she’s a natural alto singer and she’s had to train her voice and herself to reach the notes she does. That’s dedication, talent and perseverance. 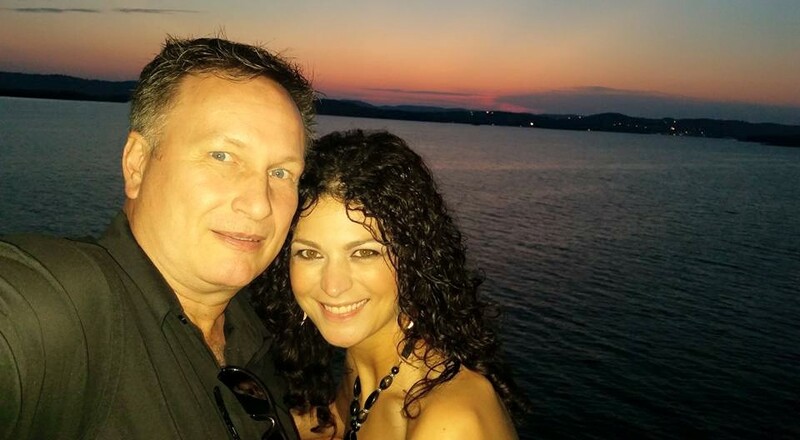 Both Tammy and Brian are true examples of people that live by faith. They told me that it’s not always about what they want, it’s about what God wants. They include a lot of prayer in their daily lives and believe that God will lead them down the paths they are meant to walk. During the interview I found out that a few years ago, Tammy had auditioned for a part in Hairspray. Yes, Hairspray that is on Broadway in New York and the same Hairspray that starred John Travolta. She got the part, but knew in her heart that a move to New York wasn’t what was right for her at that time. She did admit with a big smile that she turned down the role before she knew about who her handsome co-star would be. So, there’s a little gem here in Branson that you have to go see and hear. 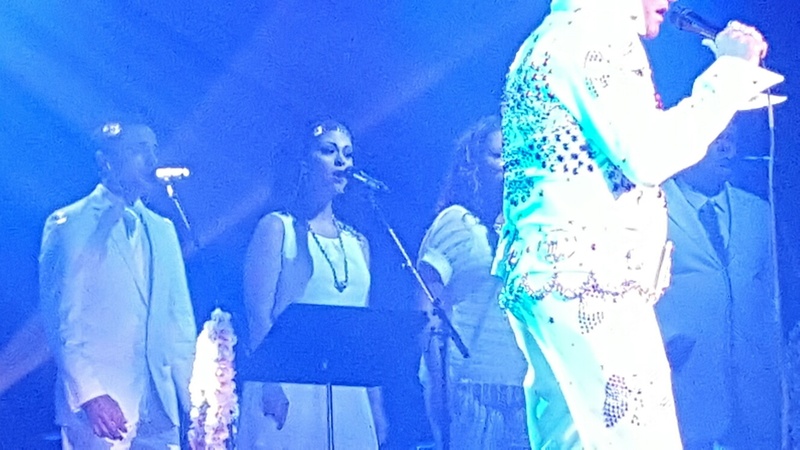 I wouldn’t be surprised in just a few years time that Tammy could be at her own theatre, but for now, she says that she absolutely loves her job as a back-up singer for Jerry Presley. She loves the energy that Jerry brings to the show impersonating his famous cousin and has loved the challenge of learning all the Elvis songs. I can’t imagine anyone else singing her part and you won’t either, once you’ve seen her live. 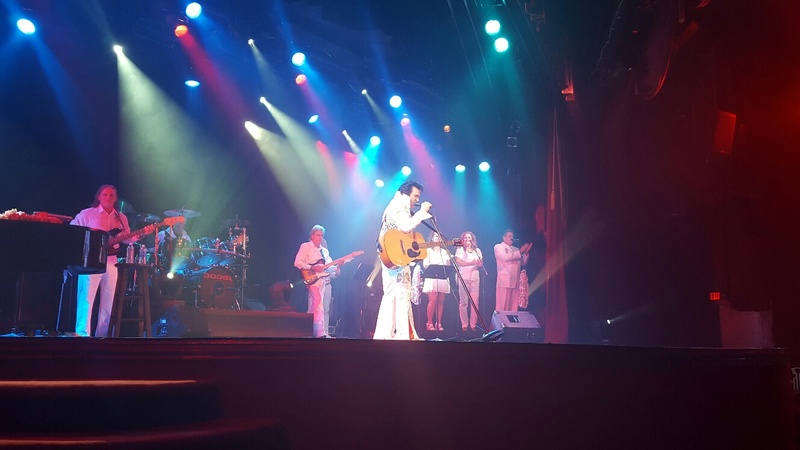 Thanks to our friend, Denny Yeary, we had a chance to see Jerry Presley in Elvis Live at The Jim Stafford Theatre earlier this week. Denny is the handsome gentleman that is standing far right on stage in the video. He is one of the back-up singers in the show and he blew me away with some of his bass slides. My husband and Denny have been friends for more than 30 years and of course it’s a no-brainer that I need to sit with Denny and get a little of his story. Hopefully soon. 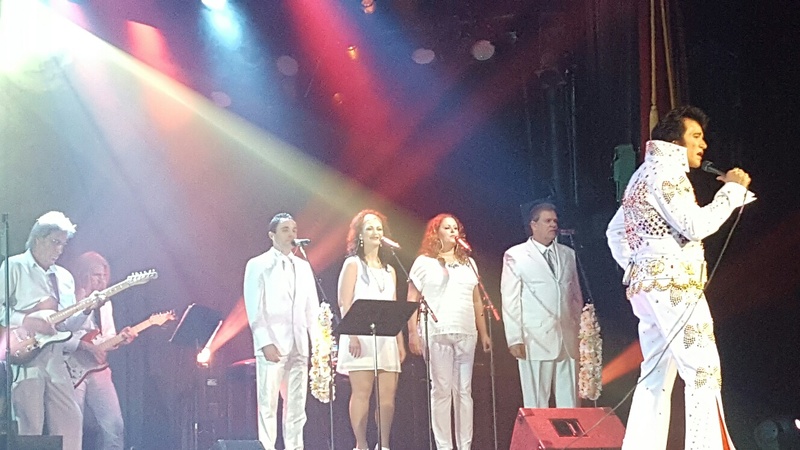 There are three or four Elvis impersonator’s in town and I’m sure that there are a handful of other performers that sing some of his signature songs, even if they don’t try to look or act like the King. However, there is only one entertainer in Branson who purports to be a relative of Elvis Presley and that is none other than, Jerry Presley. I had a chance to meet him after the show and he has promised to give me an interview, but through the couple of words I had with him and asking Denny a few questions, I can tell you that he’s been singing and entertaining since 1970 and was the first Elvis impersonator to come to Branson in 1985. He opened his own theatre here in town and appropriately called it, The King’s Mansion. Jerry explains early on in the show that he likes mixing it up and included songs from both shows. Something that I found extremely fascinating was the two sides that the audience got to see of Jerry. He does a great job impersonating Elvis and oft times sounds exactly like his famous cousin. Then after an energy packed number, the music ends and he talks to the audience about the next song coming up and the difference in even his demeanor is remarkable. Jerry Presley has this soft, quiet voice and even though he has a southern drawl, when he speaks he sounds nothing like Elvis. So, Jerry appears to be a very humble, mild-mannered and quiet guy when he’s not belting out Suspicious Minds or In the Ghetto. The Jim Stafford theatre is a beautiful venue complete with red velvets and a nice sized stage. Big enough to accommodate a six-piece band that includes Clayton Watson playing the grand piano. 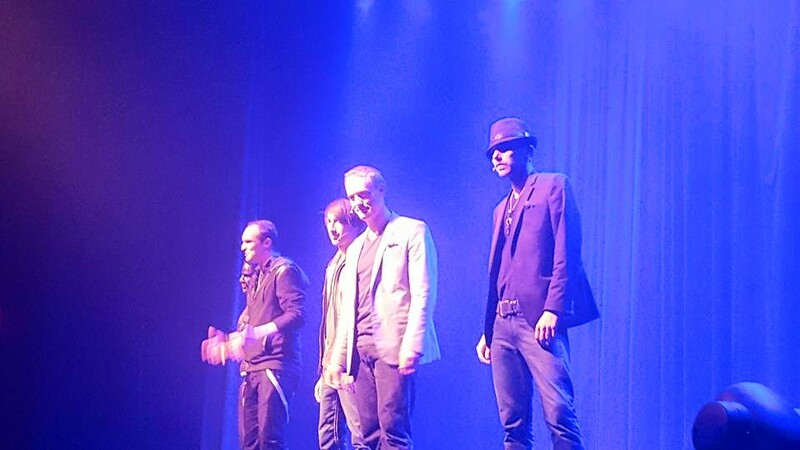 Also on stage are four,out of this world, back-up singers. Singing bass is our friend, Denny Yeary. He does a great job holding the low end and his voice and tone actually made the floor under my feet vibrate on a few of the songs. Denny is also the emcee of the show and when he speaks you know that he’s show-biz personified. 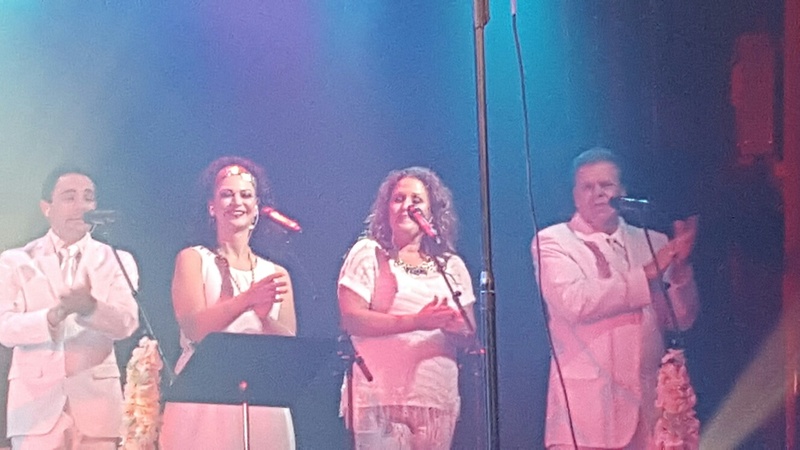 Rounding out the rest of the amazingly talented singers are: Brett Reith, Jenny Brillhart and Tammy Beebe. What these amazing performers do for this production is brilliant and takes the show to another level. A lot of people don’t realize the importance that the back-up singers bring to each and every song. It’s more than oohing and aahing, it’s musically making the song fuller, richer, whole. Elvis had legendary singers like The Jordanaires and The Stamps Quartet and a woman that sang those incredibly high parts by the name of Kathy Westmoreland. Well, I have to say that the lovely young woman that sings those parts for this Branson show is better than Kathy Westmoreland. Yep, that good. Stand out good. When Tammy Beebe hit the first high notes of the night, I broke out in goose-bumps and immediately identified where the sweet sound was coming from. Wow! What a voice. The reason I said that I think she’s better than Kathy Westmoreland is because Tammy not only hits every high note pitch perfect, but the notes literally come from her gut and her soul. For those of you that know me personally, you know it’s always about heart and how much you put out there. Well, Tammy Beebe puts it all out there and along with her three side-kicks they manage to elevate the show to outstanding. 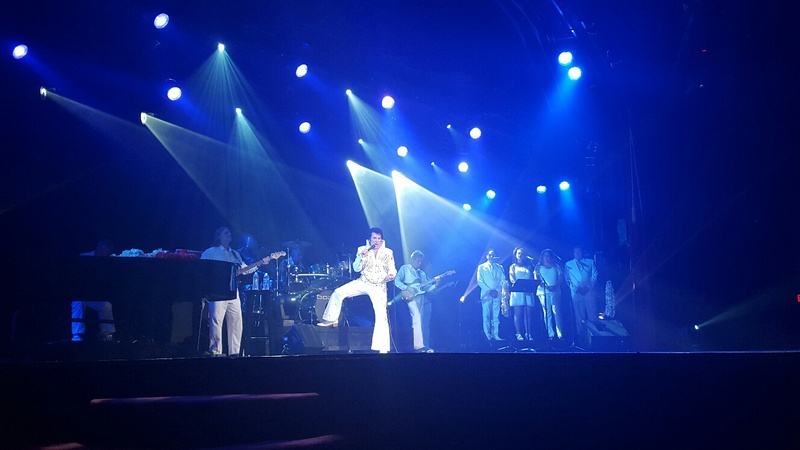 So, the next time you’re in Branson and you’re in the mood for some great entertainment, go check out the Jerry Presley Elvis Live show at the Jim Stafford Theatre. 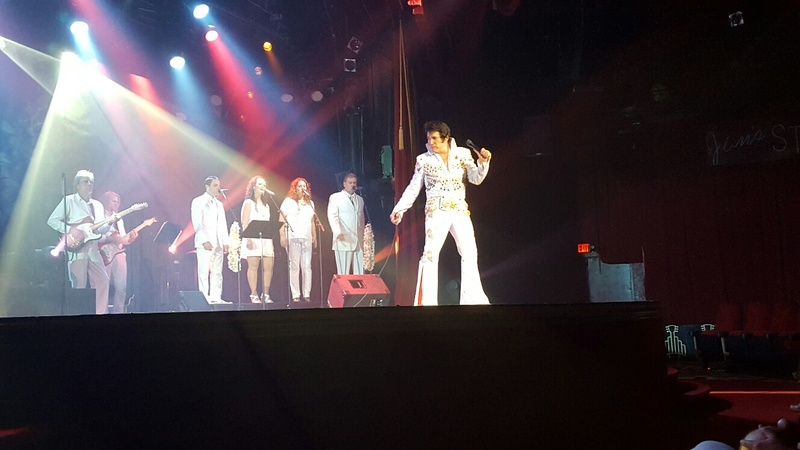 You’ll leave with a smile on your face and humming all your favorite Elvis tunes. I’ve always been of the mind that if a show or performer does not make me cry, then they have not done their job. Well, I went to a show called The Revollusionists at Music City Center​ this week that had me singing a different tune. Or, maybe I should say, I wasn’t singing at all because I was too blown away by their show. This is a magic show of epic proportions and stars five handsome and talented guys. Mike Bliss lead the troupe in this show and he’s not only a wonderful magician and slight of hand artist, he was one of the most personable and genuinely funny emcees that I have seen in a long time. 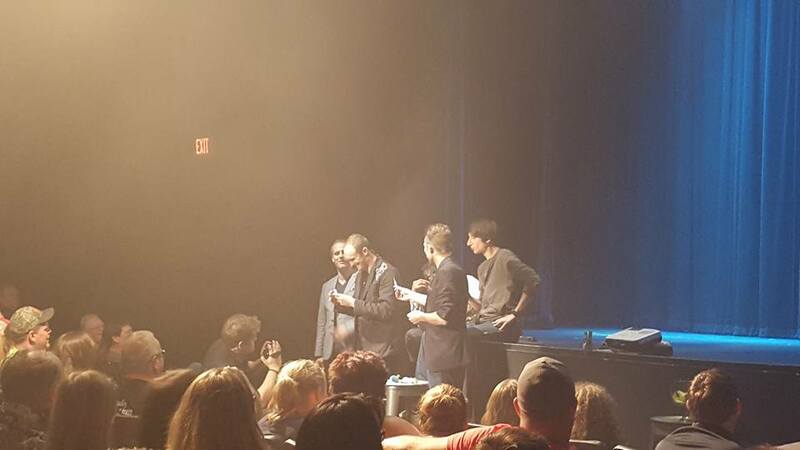 His banter with members of the audience was improv at it’s best and even when he was making us laugh, he was still amazing us with his pick-pocketing skills that included removing several watches and at least one belt. All items were given back of course, but it was quite funny to see the reactions on the faces of the people that he included in the act. I would honestly go see a show if the only one on stage was Mike Bliss. Yeah, he was that entertaining. Also on stage and doing various forms of magic flawlessly are Luka and The Phantom. You can tell by how polished their tricks are that they are professionals who have probably been doing this for most of their lives. Whether it’s music, poetry recital or magic, when the performer has a passion for his craft, you will always walk away entertained and satisfied. These guys did just that. As good as all these guys were, there were two stand outs in the performance that night and they are, Jackson Rayne​ and REZA | Illusionist​. Wow! Just wow! 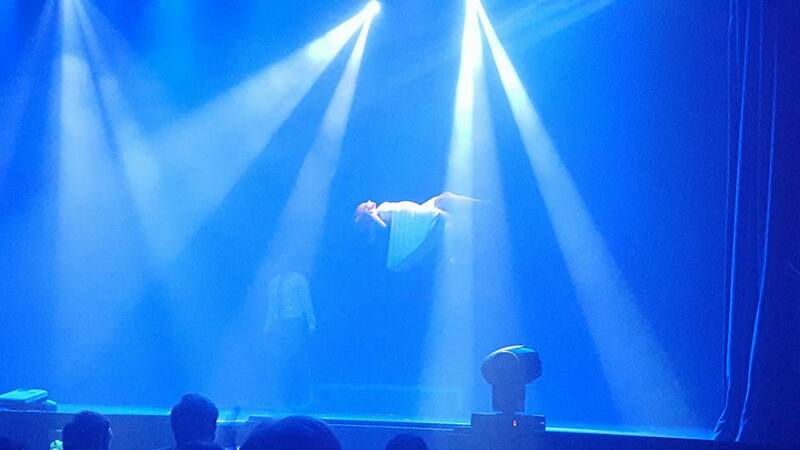 These two magicians are at the top of their craft with world class illusions and death defying stunts. Jackson Rayne broke the Guinness Book of World Records late last year when he escaped from a medical grade straight-jacket 54 times in an hour. Pretty impressive, huh? 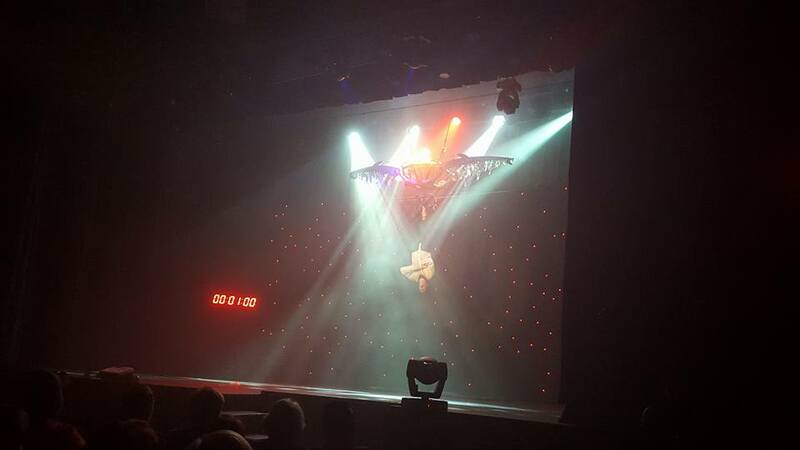 For our show, not only did he allow himself to be strapped into said straight-jacket, but he was then hung by his ankles upside down and was raised about 15 to 20 feet off the stage. Sounds like a great Houdini style act, huh? Oh, no, he’s not done yet. He is also positioned between two huge jaws of steel with jagged teeth. Seriously. Looks like the open, angry mouth of some legendary dragon in some far away land. Now, I know you’re impressed, but hold on, there’s more. An assistant comes over and lights on fire a rope that is apparently the only thing holding these giant jaws of death open as Jackson hangs upside down in a locked straight-jacket. Okay, now you can ooh and aah, but I have to tell you that there was not a sound in the theatre as Jackson performed his act. It was nail biting, edge of your seat magic that left you excited, nervous, anxious and finally relieved when Jackson Rayne drops to the ground within nano-seconds of the flame finally burning through and the two metal jaws snapping shut. Last, but certainly not least is, Reza. He’s mysterious, he’s a little dark, he’s mild mannered and he is hands down the best I’ve ever seen in person. Think David Blaine or Criss Angel and then add cool. That’s Reza. I really can’t even begin to describe his individual tricks and apparent mind reading capabilities, because I have no freakin’ idea how he does any of it. I love anything that involves the mind and anything that makes you think and I tell you, not only did he stimulate my old brain, he does the kind of stuff that makes you feel like it REALLY is magic. As in real magic. You know? Like, Gandalf and Merlin. Your rational mind tells you there’s no such thing, but when you watch Reza on stage, you forget your logical self as he somehow allows you to believe that anything is possible. Again, I keep wanting to describe his act and exactly what he does, but I can’t. All I can really tell you is that if you want an absolutely fun and entertaining night, if you want to see things I guarantee that you’ve never seen up close before, if you want to simply have your mind blown, then you must go see this show when you’re in Branson. 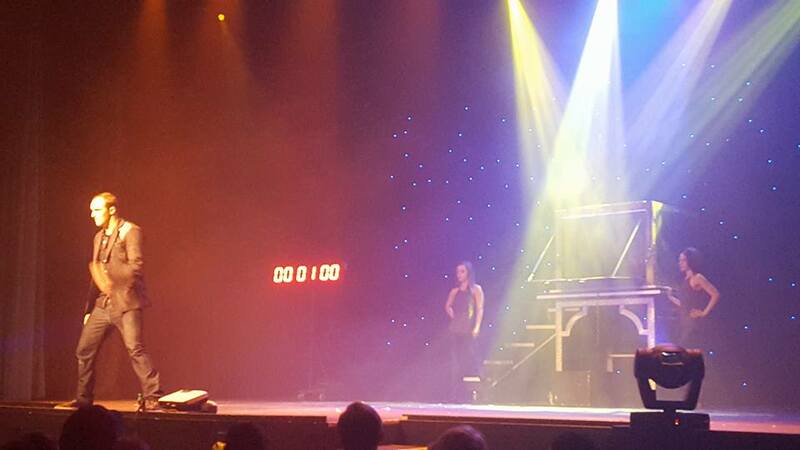 There’s lots of good shows in town, but if you want to experience something unique and otherworldly then you must stop by the Music City Center and check out one of the best shows in Branson. I believe that music is a special gift given to us humans to help us get through our everyday lives. Songs we grew up with, songs that we fell in love to, songs that made us cry and songs that bring back such sweet, sweet memories that it feels as if they have transported us to a different place and time. Music has the power to sweep us off our feet and plunge us down memory lane. Wouldn’t it be cool if someone was able to pull out those old favorite records and play them for you while showing you clips of your life? It would be fun to reminisce about days gone by. It would be beautifully nostalgic to recall images of summer afternoons and sitting in your mom’s basement spinning records on the old turntable. Well, a bunch of talented guys have gotten together in Branson and produced a show that does just that. Forever Young will touch your heart, make you tap your feet, probably make you cry and for sure will leave you with the sound of memories; your memories. The six young men that take the stage at the Music City Center tell a story in a very creative way and the best part is that some of the story they tell, is actually your story. Yes, the show highlights the guys as young teenagers listening to records down in their mom’s basement and takes you on a journey of their lives, going to college, getting married and having their own kids. But, with each song they sing, the music takes the members of the audience back to their childhoods, proms and important life moments. The show is written and performed in such a way, that it stops being just another show and starts being something downright magical. I attended opening night with friends and I expected the usual first night jitters and technical glitches. There might have been some, but if there were, I was completely oblivious to anything other than the music, the performers and the feeling. The show started off casually with each guy coming down the stairs of the 70s styled basement and in those first few seconds, each cast member connected with the audience and showed a little of their individuality. Each one put a different record on the old player and that gave us all a glimpse into the character and his personality. 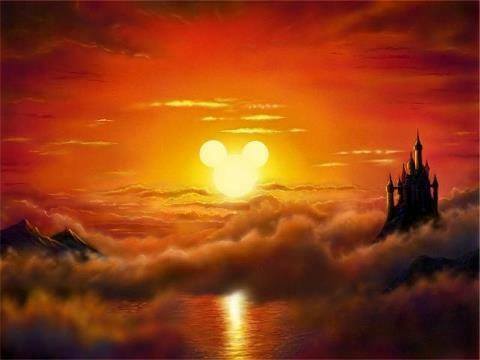 It was a brilliant opening that gave us just a hint of the magic to come. O.N.E. Productions brings this uniquely styled show to stage with a creative story idea and a very talented cast that is made up of both Branson and non-Branson performers. 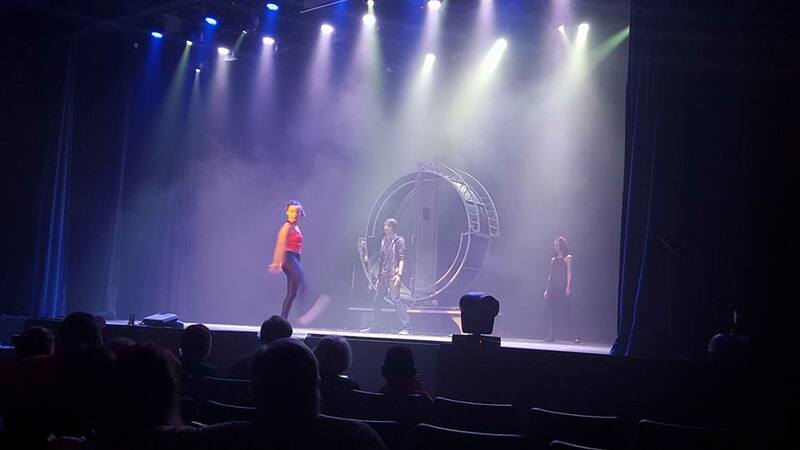 Tony Turner, Evan Bosworth and two of the cast, Justin and Josh Sassanella started the production company last year with the idea to bring something new to the Branson stage. This show is good enough to tour nationally and I have a feeling after their season run at Music City Center, they might do, just that. The entire show was professional, entertaining and one of the best shows I’ve seen. In addition to Justin and Josh Sassanella, the group is made up of, Ryan Appleby, Avilla Martin, Steve Parish and Chadd Ruden. Each one of them brings something different to the stage, but what they all bring is believability. As they take you through the playlist of your life, you identify with them, want to dance with them, want to cry with them and lastly, you just plain feel wonderful. The show isn’t just about dancing and singing some great songs with heavenly harmonies, it’s about touching our human hearts in a very personal way. Some of the guys stood out for their voices, Ryan Appleby in particular. From the first note out of his mouth you realize how good he is and it didn’t surprise me to find out that he’s a professional and polished performer with credits that include Mama Mia and the Grandbury Opera House. Another favorite voice of the night was Chadd Ruden. He brought soul and realness to some of the rock n roll songs and he’s another very hard working Branson entertainer that appears in more than one show around here. He’s a very talented guy and I can see why he’s in high demand around these parts. All the guys were good on their own, but when they did something that had them joining in “Perfect Harmony” (which, of course they did), it was as good as anything I’ve heard anywhere. The choreography of Forever Young was professional, on point and not over the top, considering it’s all testosterone on stage. Avilla Martin leads the troupe in the dancing department and it was a pleasure watching him dance and sing. He sang a serious, quiet song while sitting on the edge of the stage that simply melted my heart. 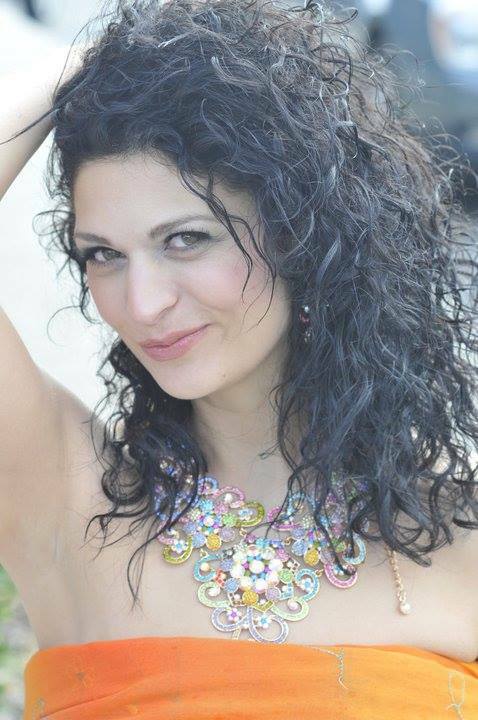 Avilla has been performing since the age of four and has appeared with such greats as Celine Dion and Josh Groban. Yeah, he’s that talented….and likable. All the guys did a great job with the dancing, singing and entertaining. But, what they did beyond that was to make you feel something extraordinary. There’s a segment of the show that highlights Justin Sassanella and through song, he tells you the story of him playing professional baseball. While I was watching the show, I assumed that all parts of this show are scripted, fiction and not based on truly real events. Then, I did a little research and found out that at least that part of the story is based on Justin’s real life experience into the world of the New York Mets. The story isn’t just about baseball, it was also about how he felt while going through that period in his life and it made everyone in the audience feel the emotions of a young man while he struggles through life. Goose bump moment when I realized that one of the reasons this show works so well is because it’s authentic. Forever Young tells a story with songs from our pasts and in doing so, it makes you remember your own story. Your own songs and memories and snapshots of life. 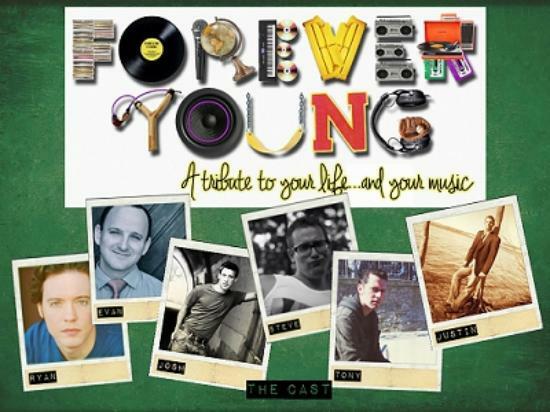 Forever Young is a poignant, insightful and powerhouse of a show that is a must see.